The J.J. Cohn Estate is located on the western bench lands of Rutherford in the Napa Valley, and yields fruit redolent of both the forest above and the lean soil below. 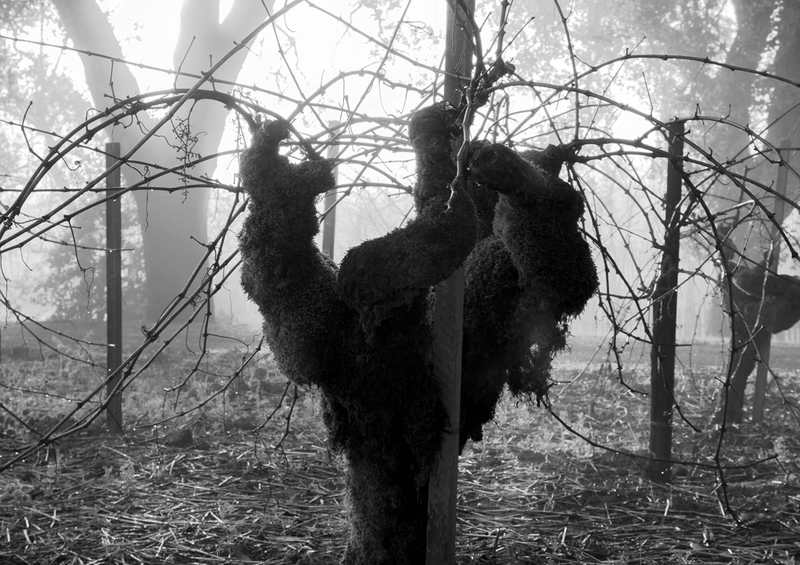 The vineyard occupies 23.86 planted acres of almost entirely Cabernet Sauvignon, with roughly two acres devoted to the esteemed Old Men vines, planted in 1945. Estate elevations run from 225 feet on the eastern edge to 300 feet in the hillside block. Soils range from Bale clay loam and Pleasanton loam in the eastern section of the vineyard to gravelly loam at the base of the mountains—a miserly soil that doesn’t easily give sustenance to the vines. But the fruit proves the struggle is worth it. The differing vine ages and rootstocks and the variations in soil, exposure and trellising all combine to produce the rich complexity of Scarecrow & M. Étain wines.